1) What’s your startup called? 2) What’s your big idea? Approximately 45% students in Canada and the US go to work as their primary post-secondary destination. These kids leave school feeling like they failed the system. What if we celebrated the school-to-work pathway the same way we celebrated opening a college acceptance letter? 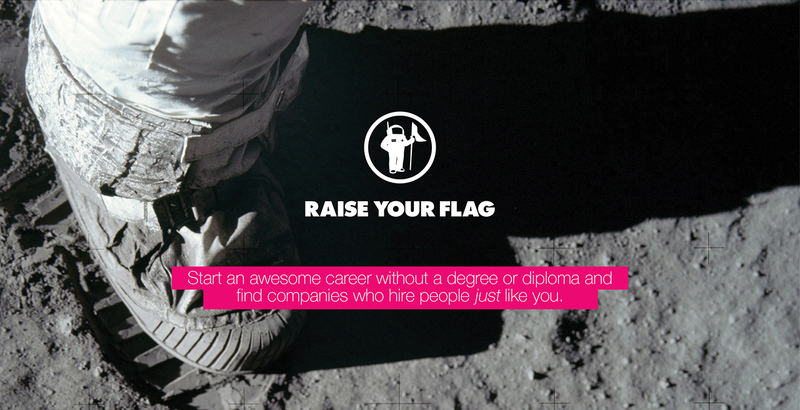 Raise Your Flag helps work-bound students find a job that’s connected to a career path they’re excited about and helps them find companies that could hire them. Raise Your Flag allows work-bound students to declare their post-secondary pathway and celebrate the possibilities. 3) What’s the story behind your idea? Raise Your Flag is built for Michael and the MILLIONS of students just like him. Michael deserves to be excited about his pathway. 4) Who are the founders? 6) What’s the startup scene like there? 7) What milestones have you reached? Accepted and completing JOLT accelerator program, v2.0 launch, confirmed our first major national employer partner (announcement coming soon), earning revenue. 8) What are your next milestones? Announcement of more major partners, US expansion, hiring employees 1, 2 and 3 and raising a round of funding. 9) Where can people find out more?